by Susan L. Hall and Louisa C. Moats, Ed.D. was published in November of 1998 by Contemporary Books and has had multiple printings. It is a book for parents by Susan Hall, the parent of a child who struggled learning to read, and Louisa Moats, a nationally known reading expert/educator. It is a practical, easy to read guide for all parents, but particularly those of preschool through 3rd grade students and of students who may have learning disabilities. It has also become popular among teachers. Susan L. Hall is the mother of 2, one of whom had trouble learning to read. She is a member of the board of directors of the International Dyslexia Association (IDA) and is past president and board member of the IDA's Illinois Branch. She is a frequent speaker regarding reading education. She also serves on the board of trustees of a school for the learning disabled, and on the boards of several other not-for-profit organizations. She earned her Bachelor of Arts degree in Psychology from Lawrence University and her Master of Business Administration degree from the Harvard University Graduate School of Business Administration. She has completed additional post-graduate study in reading education. Louisa C. Moats currently directs the Washington, D.C., site of a large-scale longitudinal research study on primary classroom instruction, funded by the National Institutes of Child Health and Human Development through the University of Texas at Houston. This project examines how to bring change to early reading instruction in major inner-city schools. 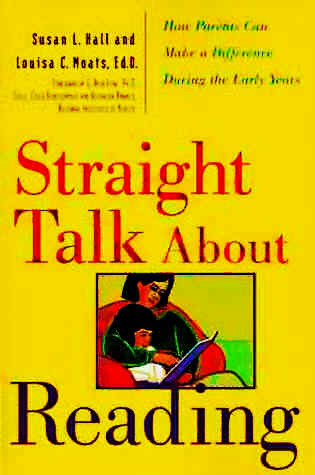 Prior to this project, Dr. Moats was a consultant to the California Reading Initiative. Dr. Moats received her B.A. from Wellesley College, her M.A. from Peabody College of Vanderbilt, and her Ed.D. from Harvard University's Graduate School of Education. She has authored numerous books, journal articles, book chapters, instructional materials, and workshop materials to support the California Reading Initiative, a major effort to reform early reading instruction. She is widely published in the fields of reading and spelling, and speaks around the country on these subjects. Dr. Moats also serves on the national board of the International Dyslexia Association.